The highlight of my foray into journalism thus far has undoubtedly been seizing the opportunity to speak with Argentine World Cup winner and Tottenham legend, Ricky Villa. Villa is probably best known for his spectacular winning goal in the 1981 FA Cup final against Manchester City. This magic moment earned him the Wembley Goal of the Century award in 2001, but it was by no means the only memorable event in Ricky’s career. 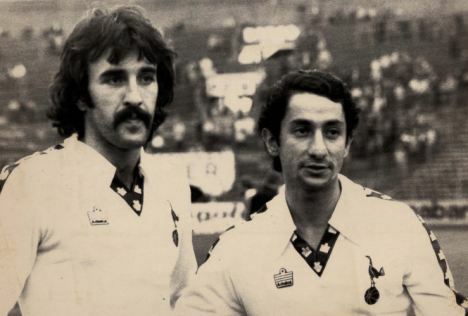 Having just won the 1978 World Cup (although injury limited Ricky’s role in the tournament), Villa and his compatriot Ossie Ardiles arrived to great fanfare at “Tottingham”, as they would affectionately call the club. As the first South American superstars to ply their trade round these parts, Villa and Ardiles set the benchmark for foreign players in the English game. But life in England was not without its complications. After sealing the 1981 FA Cup for Spurs, Villa withdrew from the following year’s final in protest at the Falklands War, having drawn criticism in his homeland for fraternising with the enemy. He later played in the US and Colombia before returning to Argentina, and also appeared alongside a young Diego Maradona for the Argentine national side. Ricky recounts all this and more in his new autobiography, And Still Ricky Villa. I caught up with him back in February in an interview for Latino Life magazine. Read the full feature here. I called Ricky at his house in Argentina and we spoke over the phone for about twenty minutes. I began the conversation in Spanish, which seemed to work well enough, so we continued en español throughout. It may sound cliché, but Ricky was very friendly and down-to-earth. He didn’t seem bothered by me interrupting his day and I thought he was generally spot on about the current state of English football. Hi Ricky, first I’d like to thank you for doing this interview. As a Spurs fan it’s a real honour for me. My dad used to watch you play alongside the likes of Glenn Hoddle back in the eighties, and as a child I remember him showing me the video of your goal against Man City. Ah yes, it was a good time for the club and Glenn was a wonderful player. Have you been to any Tottenham games recently? I have, and I’ll be there on 9th March for the game against AC Milan in the Champions League. I watched the first leg on TV. We played well and I felt we could even have had another goal. How do you rate Spurs’ domestic and Champions League prospects? Whether the club should prioritise either competition is a question for the manager. Personally, I’ve always liked the Premier League. I think it’s very important to win a local championship. The Champions League is important on an economic level and for marketing, but in my opinion the Premier League should always be the priority. This is the strongest Tottenham team in years. How does it compare to when you played there? They are worse than when I was there! Haha! No, seriously this team has a great attitude, great players, they play good football and I think that they could make club history. But I don’t like to make comparisons – I just like to think that this is another great Tottenham side that can go down in history like the team I played in. Why did you and Ossie Ardiles decide to come here? We didn’t have many options. Like all South American footballers we wanted to play in Europe, and Tottenham came knocking. We didn’t know much about Tottenham, but we liked the club and it felt like an adventure. It turned out well in the end, the club always treated us very well and we were happy we made this decision. We didn’t really know what the English league was like back then, but it was a beautiful adventure. Did you find it hard to adapt to life in England? It was very difficult for me. Living in England was a struggle because I was not used to your customs or ways of life. Not because the club treated me badly – they were always brilliant – but I used to miss my friends and family a lot. Argentina and England are very different countries with very distinct ways of life. A number of clearly talented players from South America have struggled to adapt to life in England. Why do you think it is easier for them to play in Spain or Italy? In South America we share more similarities with these countries because our families come from Spain and Italy. Most of us are descendents of Spanish or Italian immigrants, so the customs of these countries are closer to ours. England has less in common with us, but it is a great country, with the best league in the world today. But when you’re not playing football sometimes you miss home. Not everyone can adapt to it; some manage it but others cannot. Is there any advice you would offer to young players coming from South America to play in England? I think they have to go [to England], because the league is very good. They should try to live like an Englishman, because you cannot try to change the customs of a country. They must try to adapt to the English way of life, which is very pleasant and respectful. Was the style of football in England very different to what you were used to in Argentina? Many people say it’s faster and more physical here. Today, I think the English league has lost a little of its style, because there are so many foreign players now. But when we arrived, it was very, very English. It was very distinct from the football we used to play in Argentina. The English style of football involves long balls up to the centre forward, which has its positive and negative aspects, just as our style does here. But now, English football is more international. It used to be more English, and I often think it’s a shame when a country loses its style of football like this. On the other hand, you have the finest league in the world, and everyone wants to prove themselves by playing in an important league. But I don’t like it when certain clubs don’t field a single English player in their starting line-up. I think they need to have at least five or six English players in each team. The English national team has been very poor in recent competitions. Do you think this is a result of the growing number of foreign players in the Premier League? Yes, but I also think it’s because the England team is not considered as important. The clubs in England are bigger than the national team. It is always the second priority. But not for us; in Argentina the national team is more important than the clubs. So, although we haven’t won a title for a long time, we aid and support our national team more. With the players you have, do you think Argentina can challenge Spain to become the best team in the world? Spain play in a very similar style to Barcelona and today they have a very strong team. In Argentina we still haven’t found this identity but I think we have the best player in the world at this moment [Messi, obviously] and this is worth a lot. What did you make of Argentina’s performance in the World Cup under Maradona? I think that Maradona lacked experience, and as I’ve said before, I think that Diego is a better manager now than he was before the World Cup. But the Argentine FA didn’t support him and this was a very tough blow for him. Will they fare better under Sergio Batista? Batista doesn’t have much more experience than Diego, so we can only hope that it goes well. You refused to play in the 1982 FA Cup final because of the Falklands War. That must have been a very difficult decision to make? Yes. If I remember correctly it was a joint decision made with the club. It was a good decision because the conflict had reached a highpoint. With all its history I think the FA Cup is like a part of England. It was a very difficult time and it saddened me that these political situations sometimes enter the world of sport. It should be politics on one side and sport on the other, but occasionally they come together. I think that ultimately it was the right decision. I don’t regret it. It hurt a lot, and it upset me, but I think that everyone accepted my decision. What is your favourite memory of playing in England? Well, I have the [FA Cup-winning goal against Manchester City] of ’81. It made me really happy because I could repay the confidence that the club had showed in me and Ossie. They had bought two foreigners and it was a risky decision at the time. I felt happy to win something with the club because I had always found it difficult playing in England. This was my big moment. Who was the best footballer you ever played with? Diego Maradona. I did not play with him for long, but he was the best. In England, Glenn Hoddle was a fantastic player. He was a different class [he says this in English]. Finally, what are you up to these days? I live in a ranch in a town called Roque Pérez, about 100 km from Buenos Aires. I’m not involved in Argentine football anymore. I do a little bit of political work in my town. It’s all just local work but I enjoy it. Thanks Ricky, all the best. 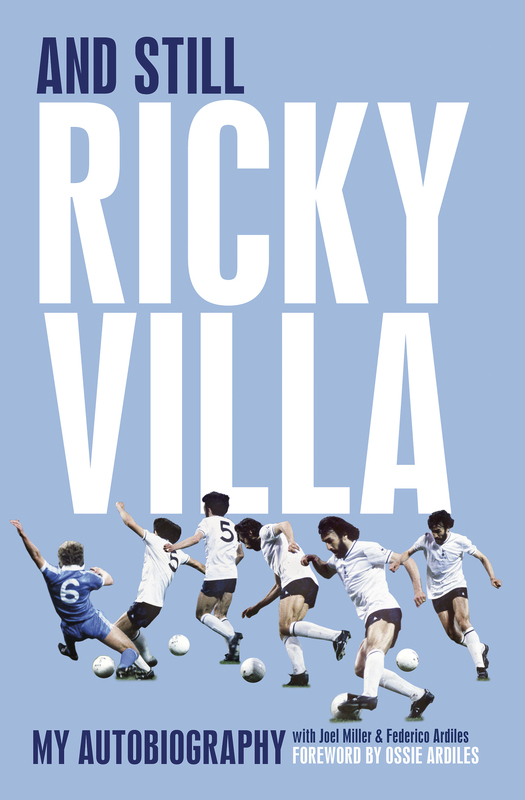 Ricky’ autobiography, And Still Ricky Villa, is out now. *It’s still too painful to delve into our capitulation against Real Madrid… But seriously, what were you thinking Crouchy?!? Most of all I’m just gutted we never gave ourselves a chance to compete 11 vs 11, as it could have been a thrilling contest. But that’s our European adventure over now, assuming we don’t pull off the greatest ever comeback in Champions League history. Well it was a fun and thrilling ride while it lasted. I just hope it’s not back to Thursday nights on Channel 5 for us next season, but I fear the worst.